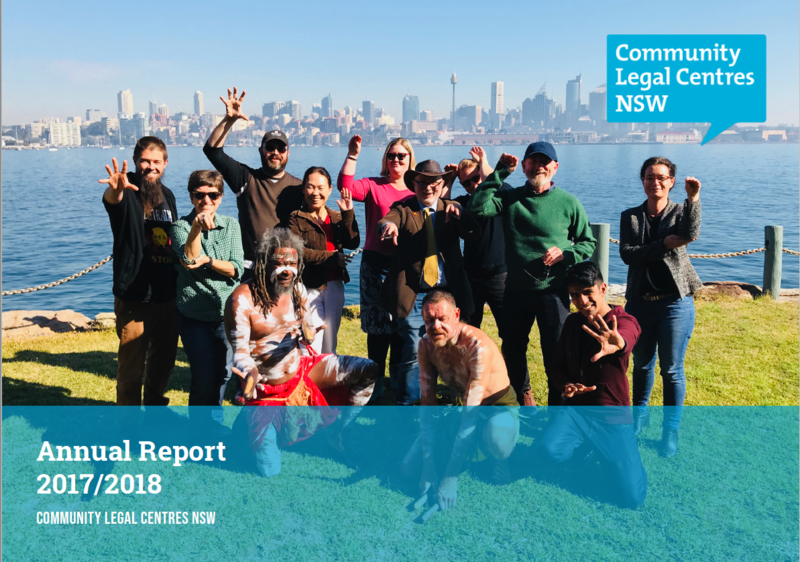 The Community Legal Centres NSW Annual Report for the 2017-18 Financial Year. 2017-18 was an important year of review, transition, and ongoing achievements. We played a key role in the sector’s response to a major review of community legal centre services in NSW, launched a new ICT project to increase digital capability for community legal centres, developed a Reconciliation Action Plan, and supported critical law reform and advocacy work by the sector. We’re on an even stronger footing for 2019. We’ll work to ensure that social justice issues are part of the conversation during both state and federal elections. We’re also kicking off the new year with a consolidated Community Legal Centres NSW Financial Service, funding stability, and a stronger advocacy and law reform team. community legal centres be able to select the most appropriate range and design of service delivery options to their clients and community (including legal advice, representation, community legal education, and law reform). In February 2018, we launched our 2018-20 Innovate Reconciliation Action Plan. It reaffirms our commitment to growing and maintaining strong relationships with Aboriginal and Torres Strait Islander communities, and to continuously develop partnerships that strengthen and empower Aboriginal and Torres Strait Islander peoples and communities. Our Plan will help us deliver on our commitment to supporting centres to be culturally supportive, safe and accessible places for Aboriginal and Torres Strait Islander employees and clients. improving laws regarding people with cognitive disabilities. In April 2017, we kicked-off an ICT project to build digital capability for community legal centres in NSW. The project includes an online directory of community legal centres, systems for building low-cost websites for community legal centres, and creating an online knowledge base to facilitate information exchange and cross-organisation conversations. Centres collectively assisted over 54,000 clients across the state. Community lawyers provided 33,696 pieces of legal information, made 68,470 referrals and completed 73,158 legal advice/tasks to people across a variety of age groups, to people experiencing financial hardship and discrimination. The top legal problem across the sector was immigration law, an indication of both legal need and the amount of assistance provided by members such as the Refugee Advice and Casework Service (RACS), and the Immigration Advice and Rights Centre (IARC). The other major legal problems were family law parenting arrangements, housing (tenancy only), credit and debt, and consumer complaints, consistent with previous years, signifying the general areas of legal need across NSW. Around half our clients identified as women and almost a quarter spoke a language other than English at home. For a digital copy of the full annual report, click here.